I’m heading to Spain in a few days and dresses are the only thing I plan to wear. For me, dresses make packing easy because they are just one piece and I don’t have to think about coordinating tops and bottoms. I know we’ll be doing a lot of walking and dresses keep me cooler and more comfortable especially when it’s really hot. I guess I’m already feeling the Spanish vibes because in searching for dresses for my trip, I keep coming back to ones in red and white, embroidery, ruffles and stripes. And lucky for me, summer dresses are on sale this time of year. 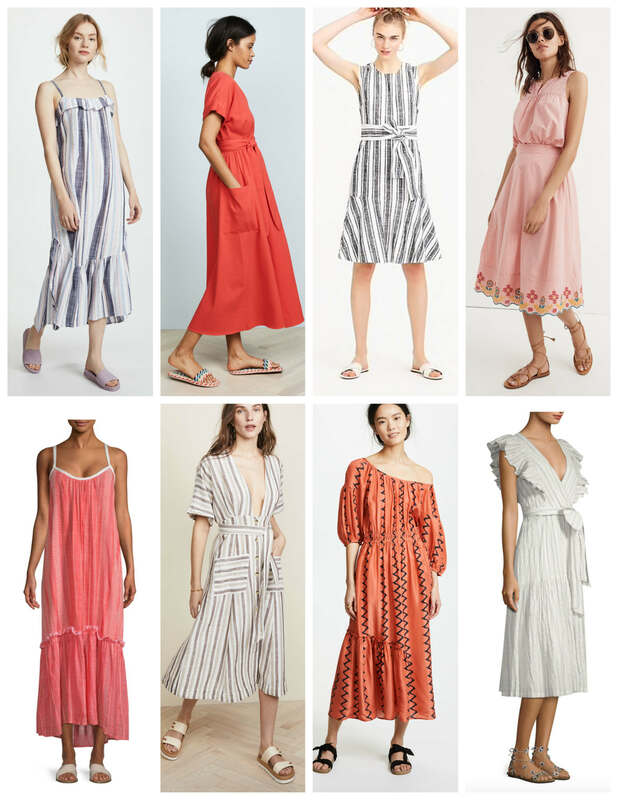 Above are 8 great SALE dresses by Xirena, A Piece Apart, Madewell and more plus the Venidress below for only $28.00 – click the links below to snap them up!